Comic book geek went nuts when they found out that Sam Wilson would make an appearance as The Falcon in “Captain America: Winter Soldier.” This fall, Falcon fans will have something else to be happy about when the long-time sidekick replaces Steve Rogers as Captain America. Wilson take the reigns followings the tragic events in Captain America #21. During a battle with the Iron Nail, Steve Rogers had the Super-Soldier serum sucked from his body, leaving him powerless and causing him to rapidly age into an old man. With Rogers out of commission, Wilson is the logical choice to take on the cowl and shield. “While Sam shares many of Steve’s beliefs in a general sense, he’s also a very different person with a very different background,” said editor Tom Brevoort in an interview on Marvel.com. 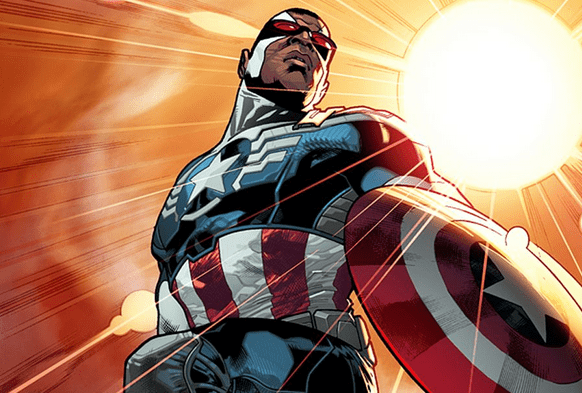 Wilson will make is debut in “All-New Captain America #1” by Rick Remender and Stuart Immonen.